Among the huge number of names of journalists in the journalism community of the world, the name Ahron Young is a visible one. He is a journalist all the way from Australia and currently serves as an anchor for Sky News Australia and as the Melbourne bureau chief. 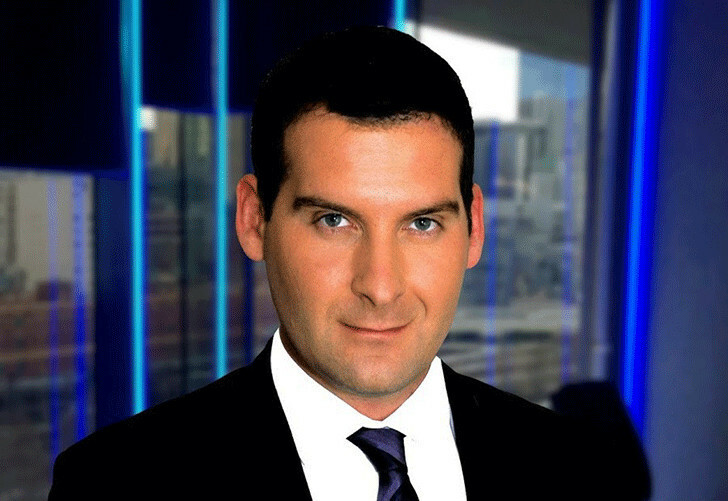 Young started to work in the Sky News Business when it was launched in 2008 for the first time after he had worked in the Sky News Australia as a reporter in 2006. Then he became the bureau chief of Melbourne with only 12 staff in place. In the Melbourne situation as the chief, he was able to host his own program “Victorian Agenda” and The Melbourne report. With all these stages in his career, he was able to achieve the fame, status, and glory that he enjoys today. Ahron Young was born on June 12, 1982, which makes his 33 years old today. He was initiative and enthusiast in the field of journalism from his early years. Ahron always used to say he ‘always wanted to be a journo’ from a young age. He was raised in Northern NSW by his mother in a ‘hippy community’. That’s why, he always used to consider TV as an amazing technology, which put him as far away as he can be from the hippy community he was raised in. This unprecedented longing for a career in journalism drove him to send ‘365 letters to each TV and radio station in the nation’, where he got only one reaction, from a horse racing daily paper. In the end, his efforts paid off as he was offered a job at a nearby daily paper, covering stories over the Mornington Peninsula. Ahron Young studied in Rosebud Secondary College. Other than this, not much information could be gathered about his education. Similarly, Young is really secretive about his personal life. There isn’t much information available anywhere whether he is in a relationship or in a marriage or single. So, it is obvious that there isn’t information about whether he is a father or not yet. But it is certain from his personality that he is humble human being and maintains a close relation with his family members. Talking about Ahron Young’s career, he is having a really prosperous career as a journalist and a reporter. From Northern Queensland, he has reported as the cyclone Yasi made landfall and visited Afghanistan, giving an account of the withdrawal of Australian troops. His report and coverage of the aeronautics business have taken him to Macau, Hong Kong, Seattle, Abu Dhabi, Dubai, and London. He covered finance news for two years in the Sky News Business Channel for two years when it was launched in 2008. Ahron anchored First Edition live from Cairns in December 2014, in the aftermath of Australia’s most exceedingly awful domestic catastrophe – the murder of 8 young kids. He also reported the 100th anniversary of the Gallipoli campaign from Anzac Cove on the Gallipoli peninsula, the 10th anniversary of the Bali Bombings from Bali and including the Dawn Service and the memorial at Lone Pine. He has also worked for Sky News UK, 3AW, Southern Peninsula Local Newspaper and is one of the anchors who founded Russia Today. Ahron Young is a really attractive young man who has achieved this much in the field of journalism and reporting in his young age. His exact height and weight aren't disclosed anywhere in the media since he is a really secretive person. Similarly, his net worth, salary, and income aren't disclosed anywhere. But we can be sure that with a career like his, Young is rich and earns enough to live a prosperous life. In 2013, the Most Outstanding Broadcast Journalist was awarded to Ahron Young. Similarly, he has nominated for the same award again in 2014 and 2015. With this kind of influential career and all the things Young has achieved until now, people are really influenced by his bio. He has a huge fan following on his twitter account.